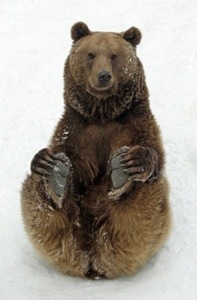 Or a bear on a sledge? That is sledging before it became a word for abuse! 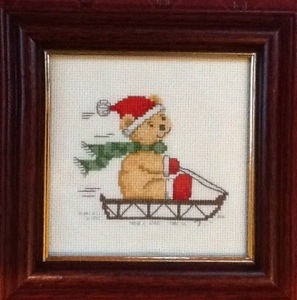 Anyway, the above ‘sledging bear’ is a delightful little embroidery with a Christmas theme. It is dated Christmas1998 and signed by Beryl on the back. Was it a gift I wonder or a decoration? In any event it was bought for only 95p. Not much to pay for all that hard work and Christmas cheer!